The friendly, knowledgeable staff at DiVentures is ready to introduce you to the world below the water’s surface. 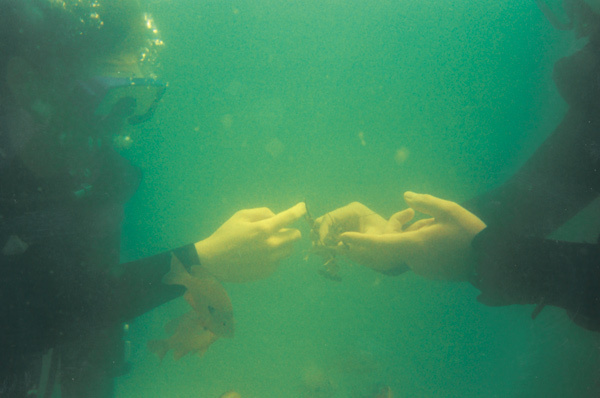 Learning to dive is easy and can lead to a lifetime of wonderful experiences. Whether you’re a beginner or a professional diver, we’ve got something for you. Let’s go diving! 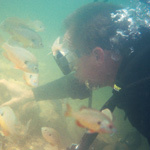 The lake is full of interesting dive sites and above average water conditions. Lake visibility is very good by lake standards throughout the summer. Water temps peak at 85° on the surface and average about 60° at depths below 30 feet. You can enjoy feeding beautiful and friendly long-ear sunfish by hand. 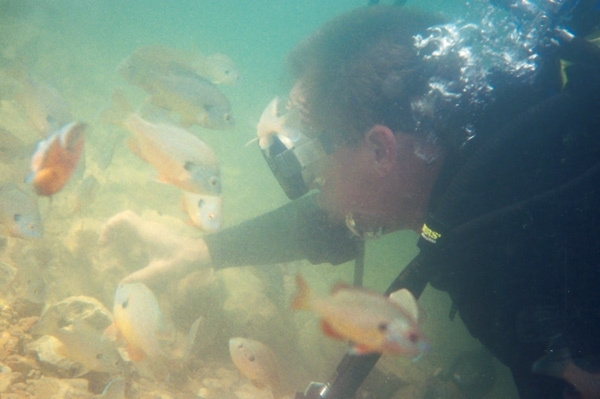 Curious bass detect divers and will check you out, cautiously swimming around you. 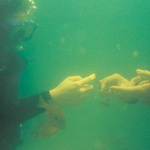 Crawdads can be caught simply by overturning a few stones on any dive. Deep ravines and outcroppings create visual interest. Rows of petrified trees from before the dam are reminiscent of sea kelp beds. 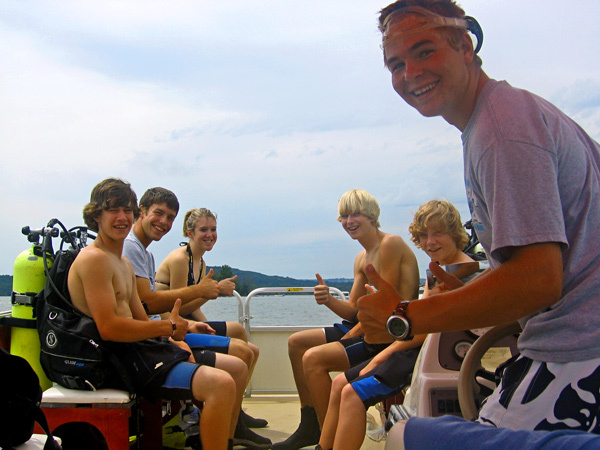 Founded in 2009, the DiVentures team is passionate about fun and safety in the water. 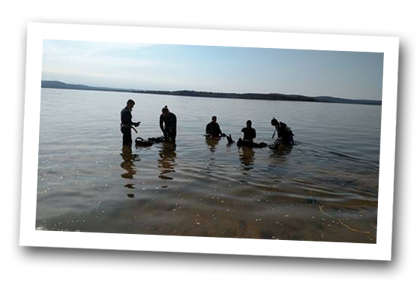 Our instructors are SSI certified and hold the highest level of recreational dive training. With more than 50,000 logged dives at locations all over the world, we have the experience and knowledge to educate you to be a safe and confident diver. 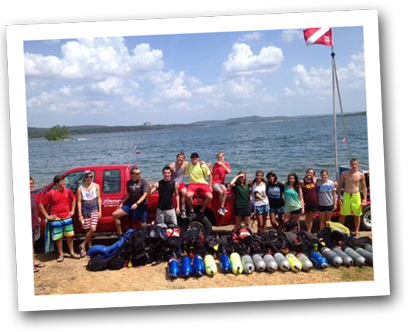 All courses include scuba equipment, air, online training, and certification materials. Mask, fins, snorkel, and wetsuit are not included. Call 417.334.2628 To Sign Up Today! Rental and air fills require valid certification card and driver’s license. Reservations are encouraged.